"The smart rich know they can only build the gate so high. And, and, sooner or later history proves that people when they've had enough aren’t going to take it anymore. 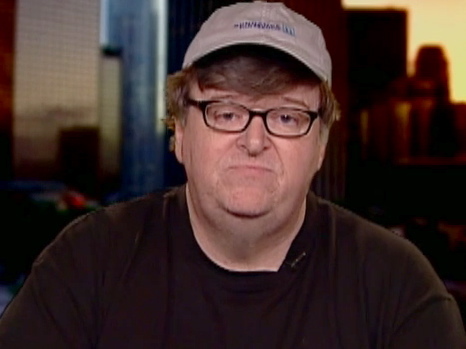 And much better to deal with it nonviolently now, through the political system, than what could possibly happen in the future, which nobody wants to see," Michael Moore said on Current TV's "Countdown" program. Moore was alluding to riots, which he was discussing with "Countdown" host Keith Olbermann prior to his comment to deal with things nonviolently now. Bachmann On Taxes: "You Should Get To Keep Every Dollar You Earn"
Perry On Opposition To In-State Tuition For Illegals: "I Don't Think You Have A Heart"